Sometimes the perfect dish is one with simple clean flavours, this is what I think this salad is. This I love on a Sunday afternoon out on the deck with a glass of wine, enjoying the only day of the week where you truly get to relax. 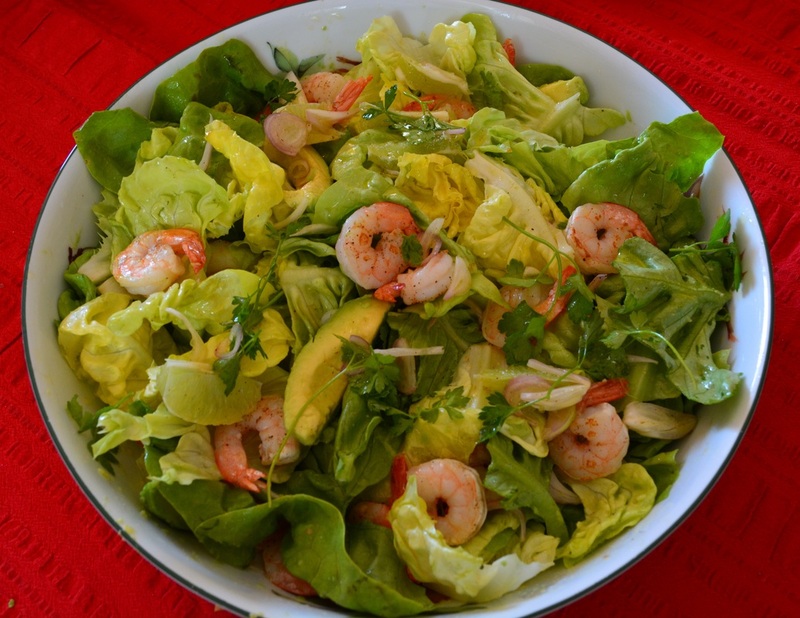 Now I love prawns, and I love salads, so when I get a recipe that combines the two, I am happy to give it a try. I made a slight adjustment to the original recipe, and I now have a lunch dish that is light and I really enjoyed. The dressing is simple, adjust it if you want to, it really is a guide, but I love it for its freshness. The recipe uses fresh prawns that you peel and devein, but I also made it with defrosted frozen Australian prawns, and it was just as good. Frozen prawns come in handy when you need a quick lunch or dinner idea, as they defrost quickly and taste great. So if you are looking to make a light simple lunch or dinner, give this recipe a try, it really is lovely. Put the lime juice, salt, pepper, parsley, extra virgin olive oil and shallots in a bowl and stir to combine. Heat the olive oil in a large frying pan over high heat. Add the prawns, season with salt and pepper. Cook the prawns for about 1 minute on each side, or until nearly cooked, they continue cooking for a short while after you take them off the heat. Arrange the lettuce in a serving bowl, drizzle with a little dressing and give it a light toss. 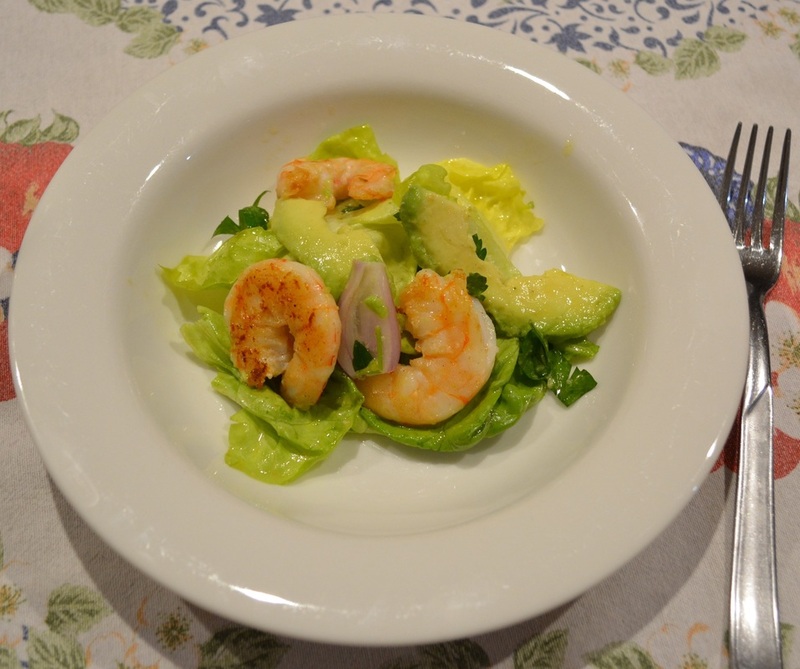 Add the avocado and prawns. Drizzle with more of the dressing and serve.